Qui troverai una un vasto assortimendo di Articoli Danza Classica e Moderna in Pronta consegna. Tutti gli articoli presenti in questa categoria come, body, scarpette, accessori, punte, tutù, degas, costumi, calze da danza classica, tute accademiche, top, short e abbigliamento flamenco), possono essere spediti entro le 24 ore dall'ordine. Abbiamo selezionato i più venduti Articoli Danza Classica del nostro ampio catalogo. 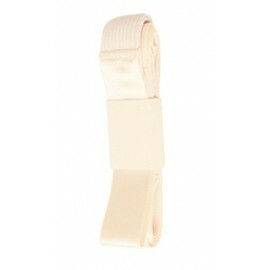 Ballet Clothes and Dance Clothing - Ready to Ship There are 66 products. 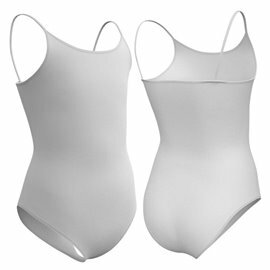 Welcome to our section dedicated to Ballet Leotards for Kids, Girls and Women Ready to Deliver. 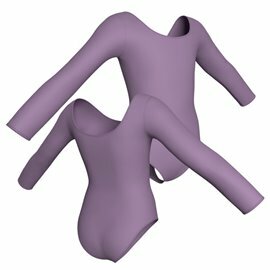 Here you'll find an extensive catalog of Ballet Leotards for Kids, Girls and Women. If you are a teacher or a shopkeeper in Clothing & Dance, Join Now and ask for the activation of your personal control panel as school or seller of Ballet Clothing. 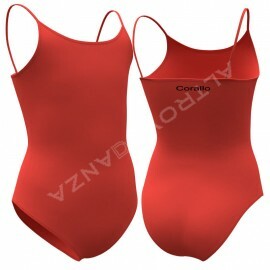 In few minutes you can see all prices of Ballet Leotards and use the powerful means that Altrovedanza provides you. Welcome to our Ballet Pointe Shoes page! We have carefully selected a range of essential Pointe shoes from Grisko, Sansha and Altrovedanza for both beginners and advanced dancers alike. Before you decide on a particular Pointe shoe style, please read the specifications for all designs carefully to ensure it is the right one for you. Ballet Pointe Shoes are definitely a very personal, the choice of patterns of Ballet Pointe Shoes has been made to cover all the needs of a dancer, keeping in mind the prices. We provide you high quality cheap Pointe Shoes..
You have the dance recital within a few days, but you have not the dance costumes yet and you need to purchase ballet costumes to be shipped immediately, possibly cheaper. NO FEAR ... You're in the right place for you. We have a selection of Ballet Tutus & Dance Costumes for Kids and Women to satisfy every need from dance competitions to shows. We have chosen the most beautiful Ballet Tutus and Dance Costumes, best sellers and cheaper. You have a wide assortment of Degas Tutus, Modern and Contemporary Dance costumes, Ballet Tutus and Dance Costumes for Kids and Women up to 50% off.. In this section you can find all Dance & Ballet Accessories absolutely essential for professional dancers and not ... 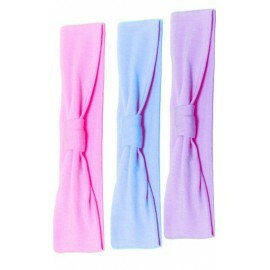 Here you are some examples Ballet Accessories that you can find: Shrugs, Gel/ Foam Toe Pads, Satin Ribbons, Crochet Bun Cover, Leg and Ankle Warmers and more .. . Discover now all Cheap Dancewear Accessories up to 50% off..
Do you love Flamenco? We have selected for you some Flamenco Dresses and Skirts & Flamenco Leotards perfect both for flamenco classes and for flamenco shows. If you are a teacher and you have a dance school or you are a reseller of Flamenco Dresses and Skirts & Dance Leotards, create your account and request the membership. In few minutes you will have a personal control panel where you can see all the prices for Flamenco Dresses Skirts Flamenco Leotards, Manton and much more. To view the entire list of Flamenco items Click Here. Are you looking for high quality Ballet Tights? Among the ballet items dance tights are definitely essential accessories .In this page you will find Women's and Children's Dance Tights and also Ballet tights for Toddlers, footed and convertible. All Ballet Tights are highly resistant microfiber. Register now to receive discounts, loyalty points and free shipping. 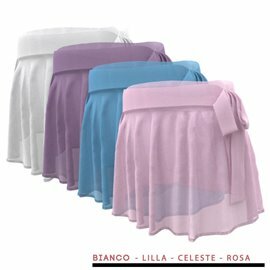 This is just the most gorgeous ballet wrap cardigan, and a real favourite with the Alotrevedanza team. The Sansha 'Lucy' Cardigan wrap is made from beautifully soft polar fleece. 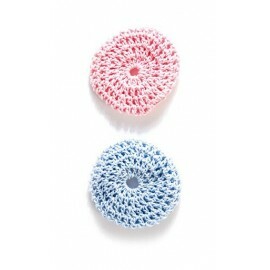 It is incredibly light, yet lovely to touch and guaranteed to keep the little ones warm. Available White and Pinks from ages 6 to 14. Sansha Convertible Tights T90 for Ballet are made of comfortable microfiber 70 deniers. Sansha's Ultrasoft microfiber Convertible Tights feature a comfortable waistband dyed-to-match for cool, dry comfort. Ideal for all types of dance. Available in Child, Girl and Adult sizes.